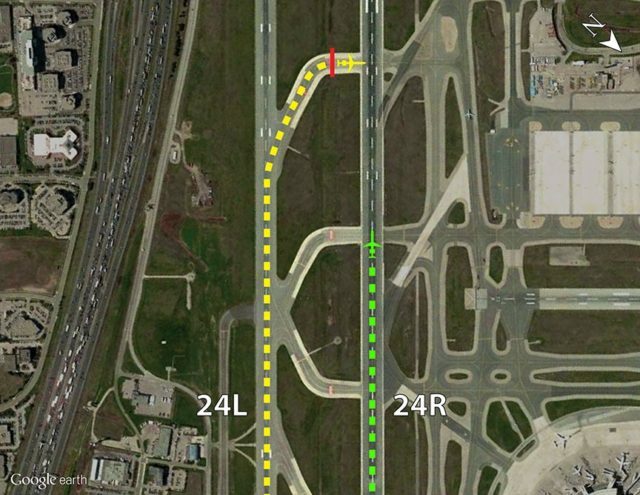 A series of incursions between two parallel runways at Toronto Pearson International Airport (CYYZ) has prompted the Transportation Safety Board of Canada (TSB) to recommend changes to the taxiway layout at Canada’s busiest airport. On Jan. 31, the TSB said its investigation into 27 separate runway incursions–which happened between June 2012 and November 2017–led to four recommendations for safer operations. Aircraft involved in the incidents all landed on the outer runway and turned onto a rapid-exit taxiway, with pilots indicating they realized their path would then cross the active inner runway. However, despite several visual cues, these aircraft did not stop when required, presenting a risk of collision with other planes using the inner runway. The TSB noted that taxiway hold lines are placed immediately after a 65-degree curve and said in a statement that this “uncommon” feature means the lines are not where crews expect to see them. Its last two recommendations involve Transport Canada and the United States Federal Aviation Administration. The TSB suggests the regulators work with operators to make certain amendments to cockpit standard operating procedures (SOPs). Specifically, this would involve changing regulations so that landing aircraft would only commence post-landing checks after clearing all active runways. Tasker, who has more than 7,000 hours of flight time and is also a licensed air traffic controller, said that while there had been no collisions, the situations had ranged from “moderate to quite serious.” At least five were in the most serious category. Fox said the TSB examined 130 airports worldwide as part of its investigation, including the top 100 internationally by passenger volume and the top 60 in the U.S. When asked whether there is any provision in the Canadian Aviation Regulations that could compel the GTAA to take appropriate action (beyond the improvements which have been under way since 2013), Fox told Skies the question was better put to Transport Canada, which did not immediately respond to a follow-up inquiry. She added that across the country there is an average of 445 runway incursions annually. “Although the vast majority . . . posed little to no risk,” the pattern at CYYZ was troubling because of numerous similarities between the incursions. Tasker presented a video from the perspective of a pilot in a smaller regional jet (RJ), the most common type of aircraft involved in the incursions. The video clearly showed all the visual cues, up to and including the stop bar lights and hold line. “Several characteristics of these rapid exits on the south complex are different from almost every other airport in North America,” he said. 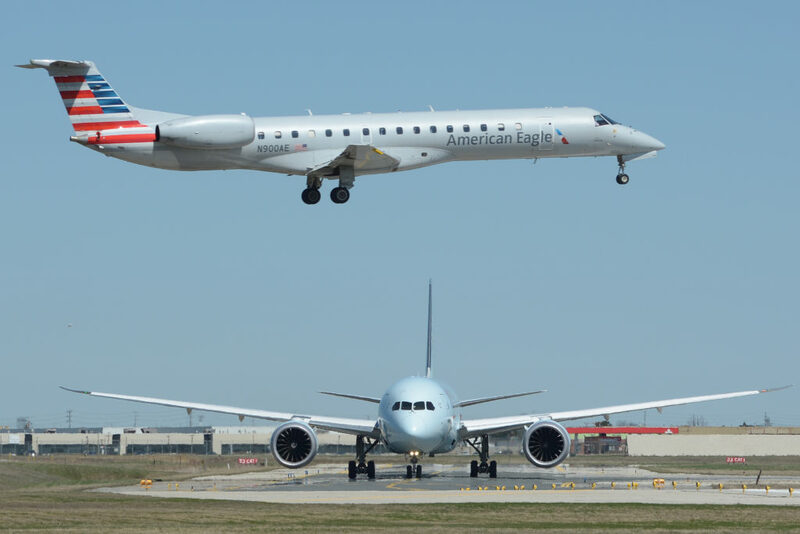 The fact that the distance from the stopping point to the intersection at CYYZ is greater than found at other airports, coupled with crews who may be unfamiliar with the exits as well as relatively high RJ taxi speeds, all contribute to a potentially confusing operational environment. “Simply telling a crew to keep a heads-up doesn’t always work,” Tasker said. Asked by Skies whether the trend of single-pilot operations with smaller aircraft types possibly exacerbated the risk of collision due to pilot overload, Tasker agreed that it could be problematic. Click here to view video of the rapid exit taxiways at Pearson’s “south complex”.